Invited to a tasting session of the limited time festival, we were greeted with the classic Mexican wide hat sombreros and tequila slammers. Tequila Slammers, which are quite famous in Mexico and go by the name of muppet are in a sense equal portion mixes of tequila and a fizzy drink. The glasses are closed and slammed on the table generating fizz before gulping it down like a shot, providing swift intoxication. It seemed like the party had started even before the food arrived. The first dishes to arrive on the table were the Chicken Quesadilla and nachos for the veggies. The 10-inch thick tortilla was filled with chicken, feta cheese and vegetables. Folded into a half moon shape, the dish was topped with cilantro and served with Picante sauce, guacamole and sour cream. Veg Nachos has always been my favourite order at Hard Rock Cafe. The tortilla chips with cabbage, olives and tomatoes, topped with cream, well complemented their newly introduced cocktails - Diablo, Troublemaker and Amigo. The Troublemaker was my favourite of the three, a tequila infused cocktail with chilli peppers adding to the zing. Diablo was a mango and cucumber flavoured cocktail while Amigo was made with liqueur and blueberry crush. 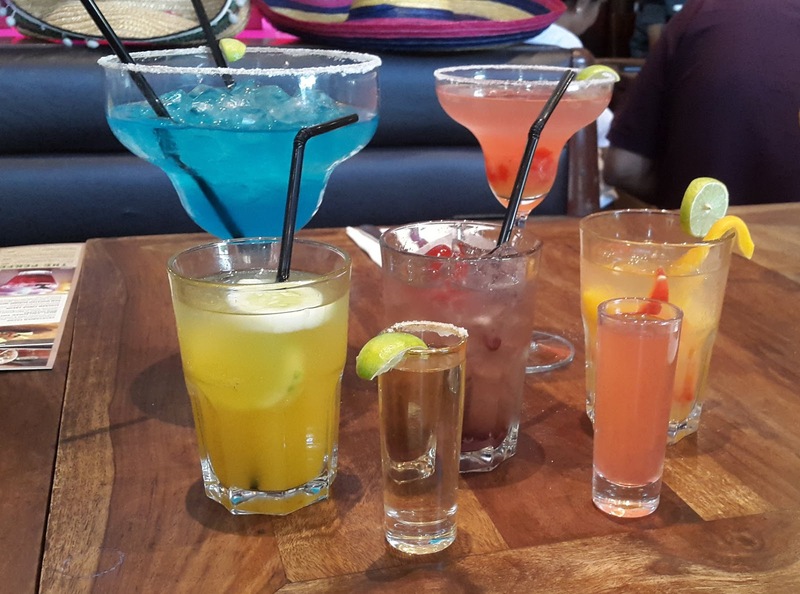 Some of the other drinks served were the Mexican bulldog Margarita and the Classic Blue Margarita, both of which were served in enough quantities to get two people well drunk. 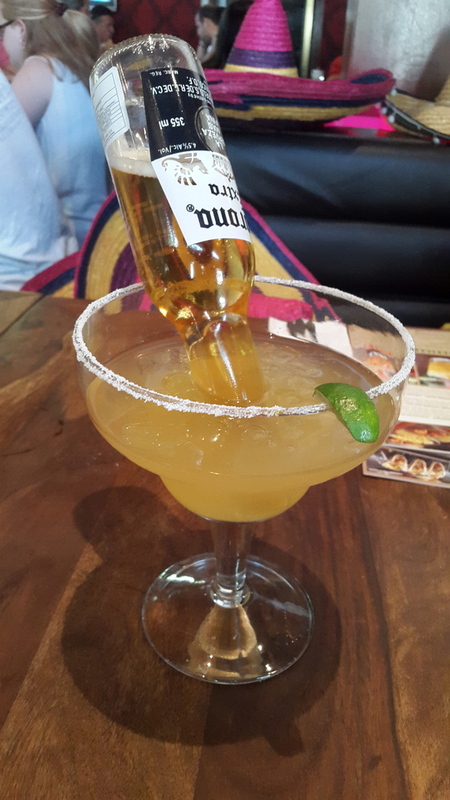 I loved the presentation of the Mexican bulldog margarita in which a capsized bottle of Corona was suspended into the frozen margarita. The combination of the two made the drink taste surprisingly well. 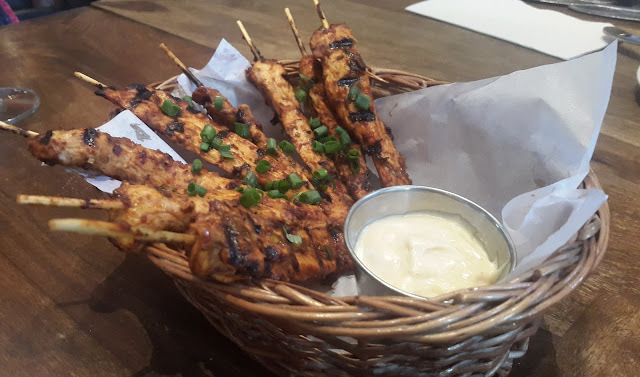 Soon other savouries like the Tex-Mex spiced Chicken Skewers and Chicken Tinga Tacos were served. 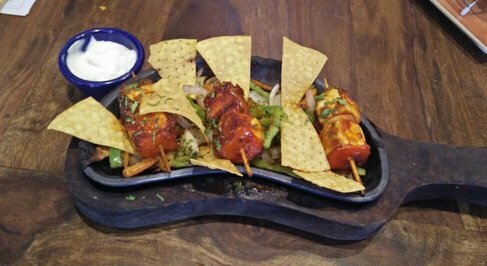 The chicken tenders in the skewers were marinated with Tex-Mex spices and had a sweetish taste of honey. The tacos were pretty crispy and had ample quantity of cream but could have had a meatier filling. The items are priced around Rs. 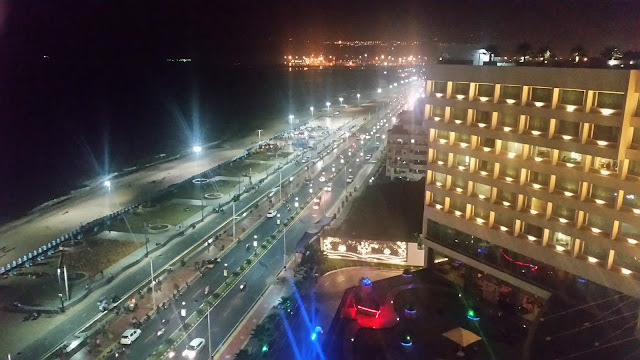 400/- to Rs. 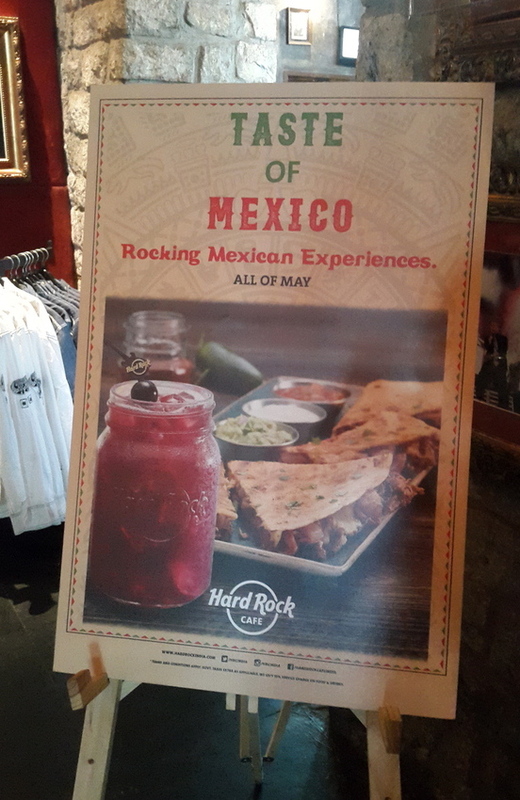 600/- and are available for a limited time only as a part of the special Taste of Mexico menu.